At CodeSpace, we welcome anyone with an interest in technology, the will to work hard, and a love for learning. Carrie Clarke is one of our graduates that best embodies these tenets. 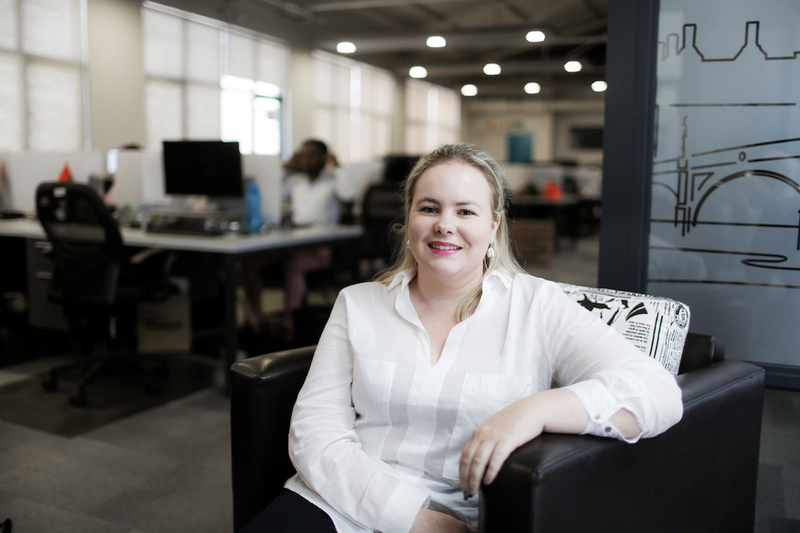 Coming from a Medical Science background, her interest in the tech industry stemmed from seeing the way different technologies were being used in her field of study. Seeing this she became confident that the pervasion of technology into all aspects of life was inevitable. So she chose to study at CodeSpace to secure her spot in the future. Now she works for Acceleration, a digital marketing firm, where her days are filled with the kind of creative challenges she enjoys. “Work can mean anything from implementing marketing pixels, writing documentation, training, testing implementations, or troubleshooting.” Her favourite part of the job? The sheer variety of the work, always keeping her engaged and inspired. It’s a goal we share here at CodeSpace, where we aim to break down the barrier to entry for the tech industry with innovative learning methodologies, creating a world where we can all contribute towards what fascinates us or find a new passion where we’d never have expected it to be. Start your own journey to success with CodeSpace’s full-time course offering. Apply here.